Build a mine, hire workers, and earn gold! Do not upload my mod to another site without my permission. 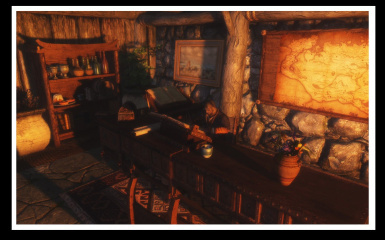 If you are interested in doing a language translation, compatibility patch with another mod, etc., contact me. Preferably through private message. Bethesda for making this fantastic game. Darkfox127 for his awesome mods and extremely helpful Creation Kit videos. Cipscis for his scripting guides and Light Switch scripts. The Nexus site. 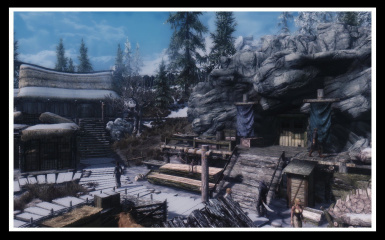 Great place to find and download mods. Now German translation found here. Thanks Gunter525! Build a mine, hire workers, mine ore, and earn gold! 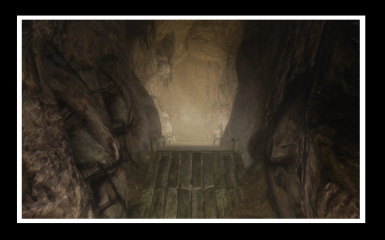 Windstad Mine is a player-owned mine that allows you to transform a bandit-infested cave into a profitable mining operation. Constructing the mine and its facilities will reward the player with income every day and the ability to extract ore from its vast mineral reserves. 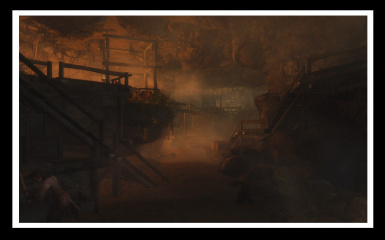 The mine can be further expanded by excavating two additional mining shafts (which allow access to additional types of ore) and a fishery business, as well as hiring guards to protect your property against the dangers that plague Skyrim. 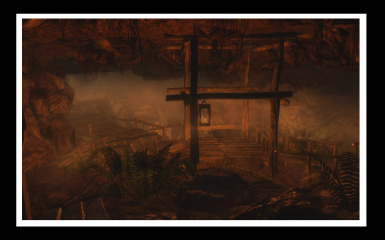 As the name suggests, the mine is located within Hjaalmarch next to Windstad Manor and Ustengrav. 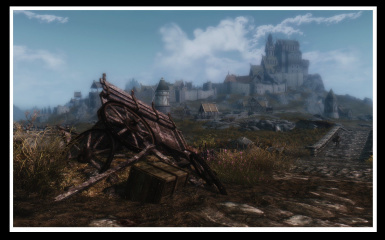 To start this adventure, investigate the destroyed cart and rubble located along the road that leads from Riverwood towards Whiterun. 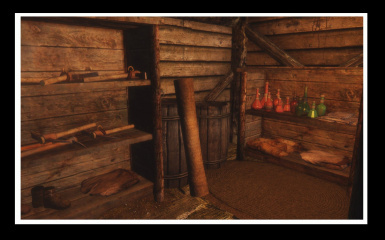 Collect materials gathered in the province of Skyrim to construct the mines facilities and structures, or hire construction workers to do the job for you. 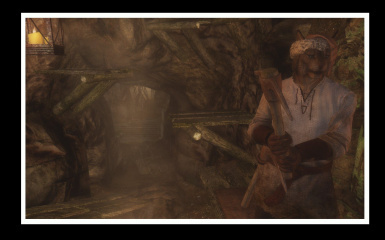 Windstad Mine is rich with ore. Fabricate weaponry and armor with ore excavted from your very own mine, or sell your finely crafted wares to merchants scattered across Skyrim. Furthermore. the mine also utilizes a custom mining system. No need to worry about running out of ore, as Windstad ore deposits do no deplete. Using the pickaxe and ore bucket next to the construction area will allow you to select the rate at which you extract ore from Windstad Mining deposits at your preferance, and have no impact on ore deposits outside of Windstad Mine. 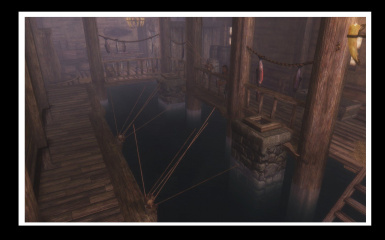 Constructing a fishery meanwhile will allow you to grow and harvest fish which can be used for alchemy ingredients, or as food for any needs related mod. Windstad Mine is large. 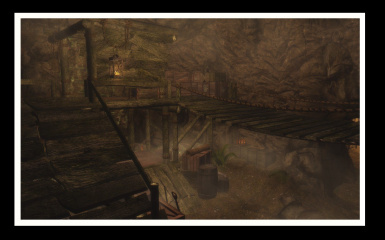 This can be a problem when over encumbered and lugging around tons of ore. Once transport carts are constructed, travel around the mine with ease and use the carts to temporarily store your excavated items. Hiring workers for your mine will allow you to earn a steady amount of gold income every day at 9:00 AM. A nice amount of gold to help with your adventures throughout Skyrim. 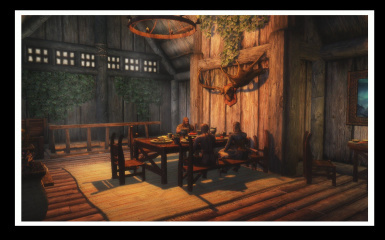 Proudly show your affiliation with the Stormcloaks or Imperials around the exterior of the mine, or fly a more simple banner around your business for decoration. 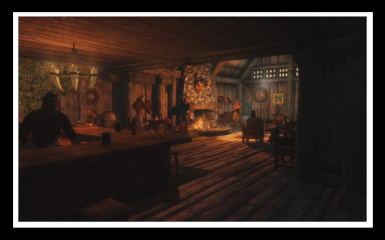 Requires the latest version of Skyrim as well as the Hearthfire DLC. 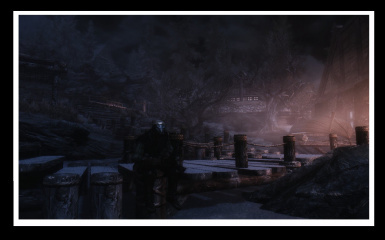 Furthermore, this mod will not be compatible with any mod that alters the cell it is located in (the Ustengrav Cell and cells around it). Brodual and MMOxReview for the videos. Stroti (Outhouse) When you gotta go, you gotta go. As Ian Malcom would put it. 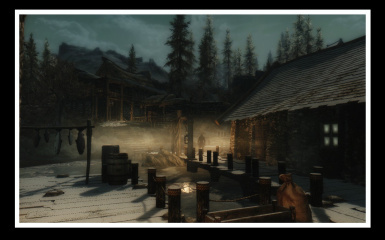 This mod requires the Hearthfire DLC. 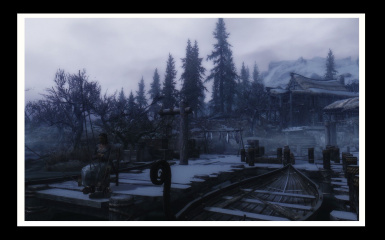 If you do not have Hearthfire, this mod will not work. If you do have Hearthfire, it is most likely a load order issue. 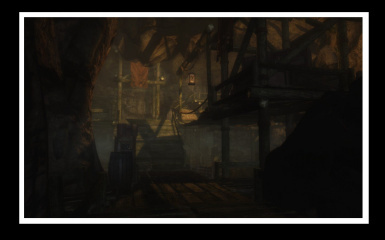 Tovis Horansen, the vendor in Morthal's Highmoon Hall who sells the business permit for the mine, won't talk to me! Shaft 1/Shaft 2 construction option doesn't go away! I am aware of this and this is intentional for the time being. Purchase the upgrade once and then leave it alone. It should take 3 in-game days for Shaft 1/Shaft 2 expansion to complete. If you purchased the upgrade and after 3 days construction does not complete, leave a comment on the posts tab and report it. Use the console to give your character gold and try again. 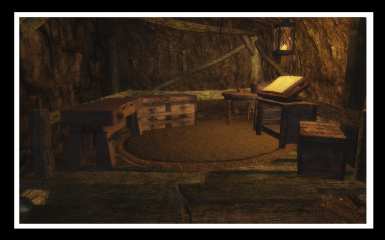 Why aren't there any dwemer mining deposits? 1. Gold sometimes doesn't accumulate. This is generally caused whenever you use the 'wait' or 'sleep' feature through the time where gold and items are added to the chests (9:00 AM In-Game). However, playing through this time normally will add gold and items to the chests as normal. 2. Clicking 'Start Income' repeatedly continually adds gold and items to the chests. Just don't do dat, aight? Click it once, leave it alone. Do not upload my mod to another site without my permission. Contact me if you are interested in doing a translation.